The Milwaukee HD28 SX Heavy-Duty Sawzall has a 28 Volt, high power Milwaukee® motor that delivers corded performance in a cordless tool. It has an exclusive gear protecting clutch for excellent durability and a heavy-duty, all metal FIXTEC blade clamp for fast blade changes. 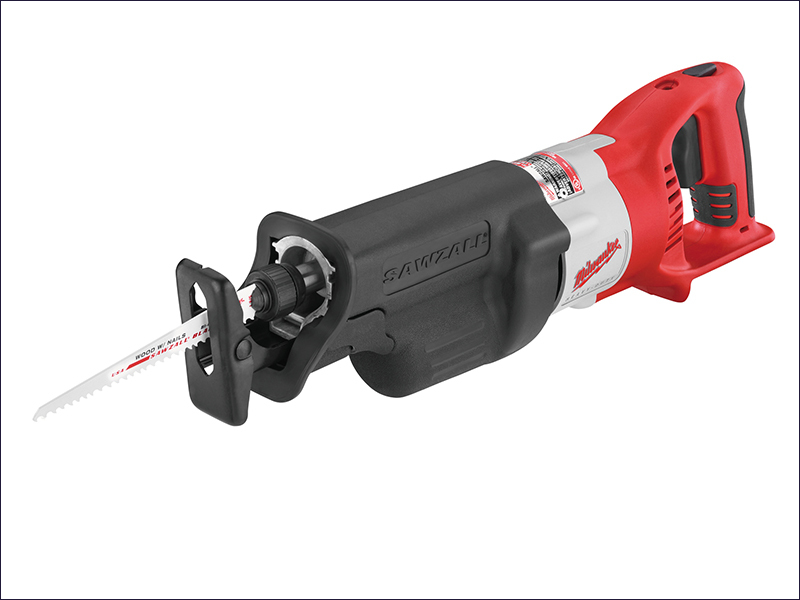 The Sawzall has convenient two-speed selection for best cutting control in different materials. With 29mm stroke length, and 3,000 strokes per minute, it is extremely fast cutting. It has a tool-free, adjustable shoe which quickly adjusts blade depth and soft-grip gripping surfaces for maximum comfort and control. Strokes at No Load: 0-2,000/0-3,000/min. Naked version, batteries and charger NOT supplied.